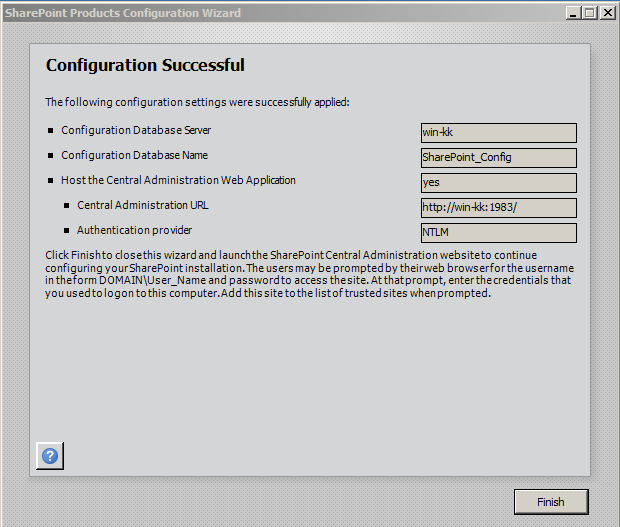 In this blog, I will explain about SharePoint 2013 installation on Windows Server 2008 R2, which I did recently on my system. 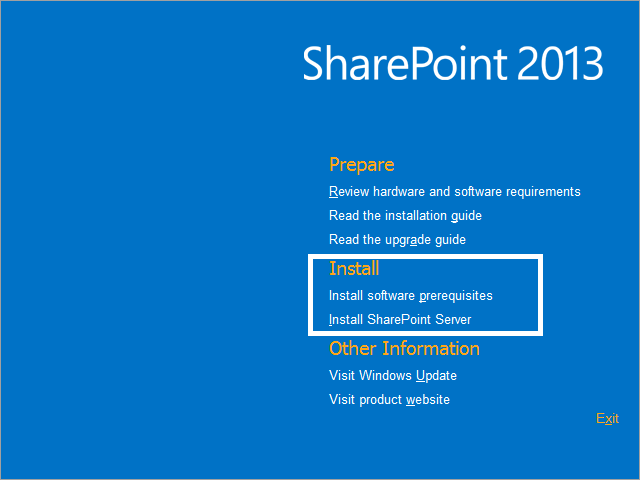 Below is minimum software requirement for SharePoint 2013 installation. 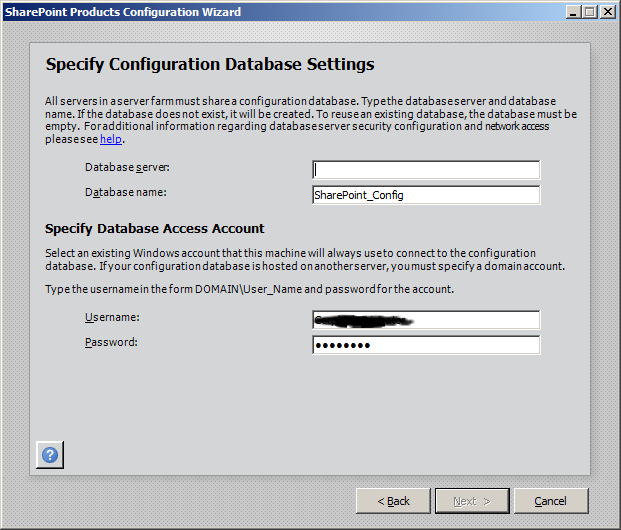 SQL Server - SQL Server 2008 SP1 or above. Double click on setup file and you will see below screenshot. Click on "Install software prerequisites", all your require /supported files/software will be installed. You may need to install it manually, depending on whether supported files available or not with this package. During prerequisites installation, your system may reboot multiple times. 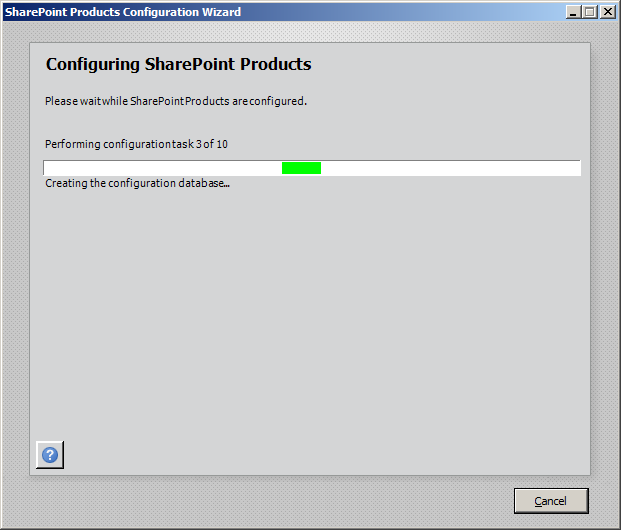 Once prerequisites installation is completed, you may click on "Install SharePoint Server". 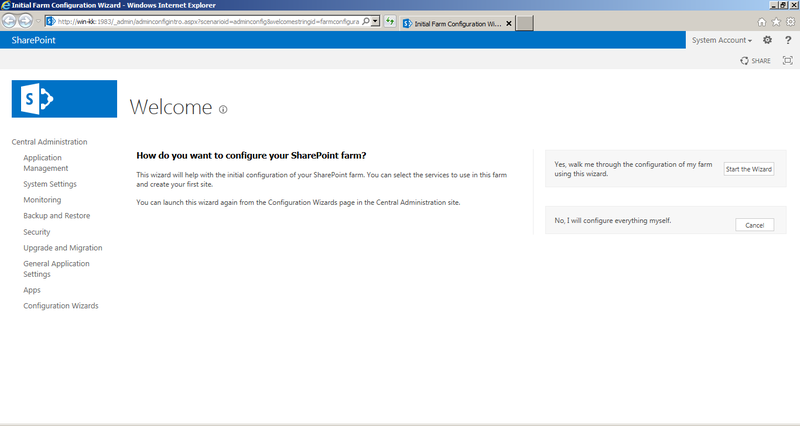 After Installation, you need to configure SharePoint 2013 on your system. To do this follow below steps/screenshots. In next screen select NTLM (Which is default), if you wish to change the port for Central Administration you may change or leave it as default and proceed. It will continue the process. 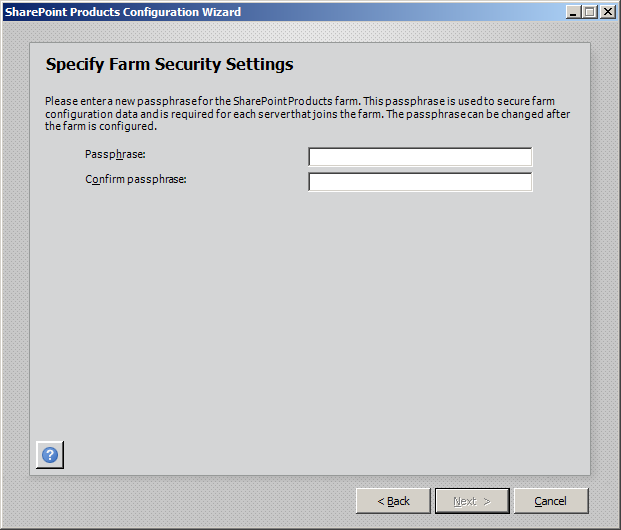 Once you will complete this, Central Admin (Initial Farm Configuration) URL will be opened. 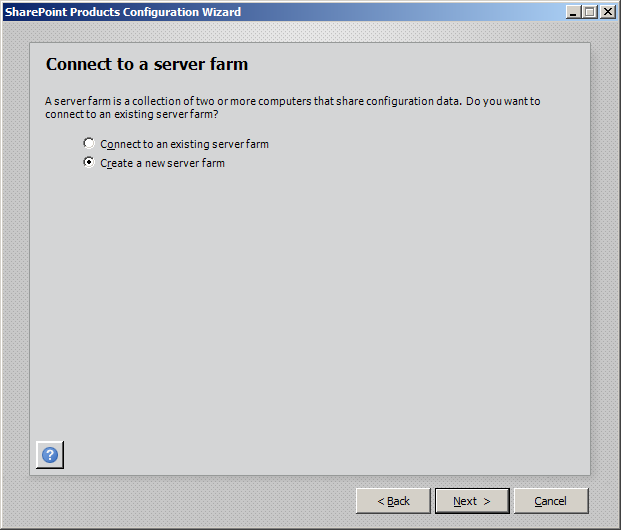 You may proceed by using the wizard (click on start the wizard) or by manual by clicking the Cancel button. 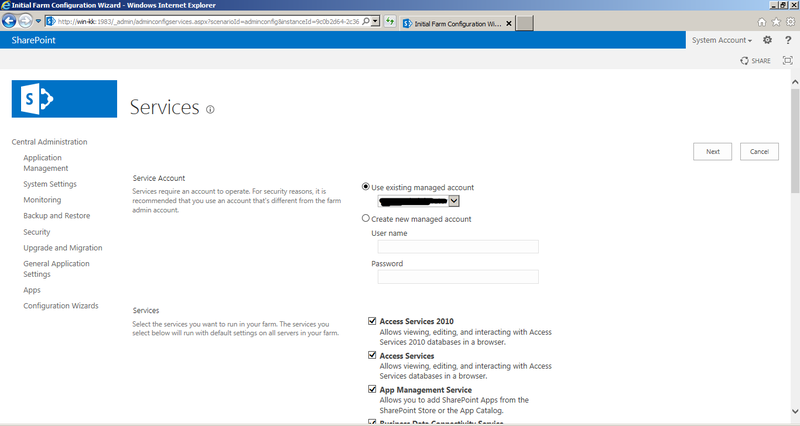 Select existing account or create a new service account. Then select services that you want and click on Next. 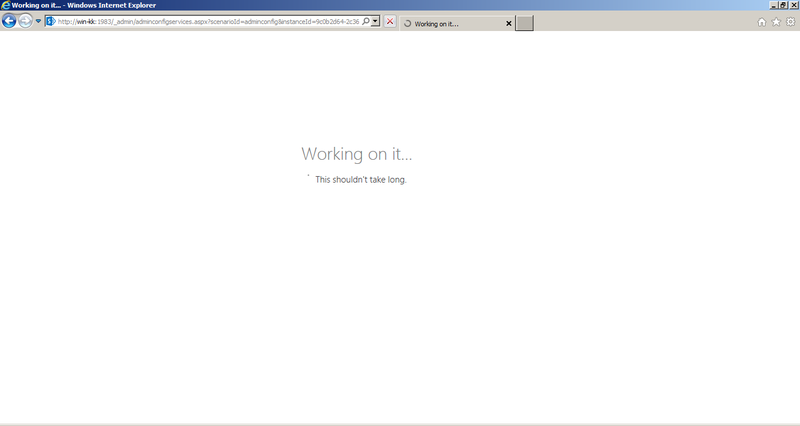 It will continue, wait for a while and you are now ready to work with SharePoint on your system.